Tracks CD-1 to CD-26 recorded live at Madison Square Garden, New York, NY on December 5, 1969. 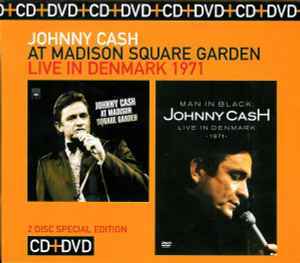 Tracks DVD-1 to DVD-19 recorded live for Danish TV 1971. Tracks CD-1 to CD-26 mixed, edited & mastered at Sony Music Studios, New York. Audio tracks DVD-1 to DVD-19 mastered at Sony Music Studios, New York. Tracks CD-1 to CD-26 ℗ & © 2002 Sony Music Entertainment Inc. Program on tracks DVD-1 to DVD-19 © 1971 DR-TV. Tracks DVD-1 to DVD-19 ℗ 2008 Sony BMG Music Entertainment. This compilation ℗ & © 2008 Sony BMG Music Entertainment Limited. Distributed by Sony BMG Entertainment.